Join my live symposium session in the Largest Spirituality and Wellness Event of 2016 — the Spring Forward Symposium (www.spiritualitysymposium.com). I’m excited to be presenting about sexual healing along with 70+ other presenters. INSIDE SEXUAL HEALING free session: April 16, 5:30 p.m. (PDT) 30 min. This free symposium session is intended to acquaint an unfamiliar public with sexual healing as an alternative healthcare modality — its purpose, availability and efficacy. 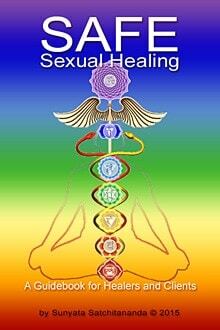 What is “sexual healing” and how does it work? My upcoming book “Safe Sexual Healing: a Guidebook for Healers and Clients” goes into detail about treatments and methods that might be included in sexual healing sessions as well as what to beware of and watch out for when seeking to work with a sexual healer –including how to maintain a constructive healing-alliance relationship with your sexual healer.